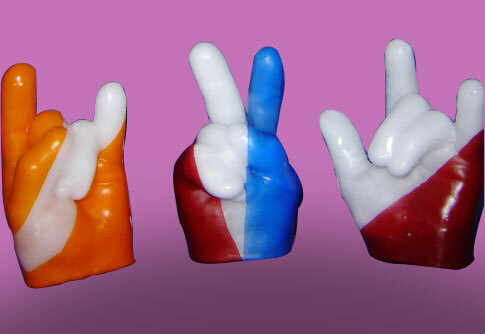 A Wax Hand sculpture is a terrific keepsake from a party. The sculpture is made by dipping your guest's hand in warm liquid wax several times. The casting is cooled and removed, forming a perfect replica of their hand. Your choice of color is added to make it a beautiful, fun work of art.